Fifty-seven talented teenager footballers train in Bangkok for chance to represent Asia at the Allianz Junior Football Camp in Munich. 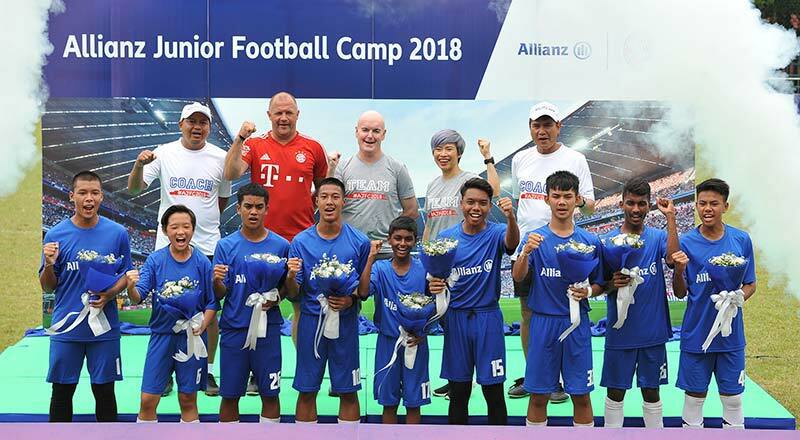 Talented young footballers from across Asia came together for the regional Allianz Junior Football Camp – providing a chance to develop their games and learn new skills under the tutelage of FC Bayern. Fifty-seven talented teenagers in the region trained together in Bangkok – with nine young footballers selected to represent Asia at the Allianz Junior Football Camp in Munich. The chosen few will also get to meet some of the team’s best football players and watch them live in action at Allianz Arena – FC Bayern’s home stadium.